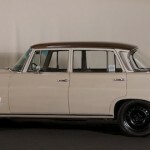 Even when you consider their historical involvement in motorsports, there are some Mercedes-Benz vehicles which, on the surface, seem ill-suited to racing. 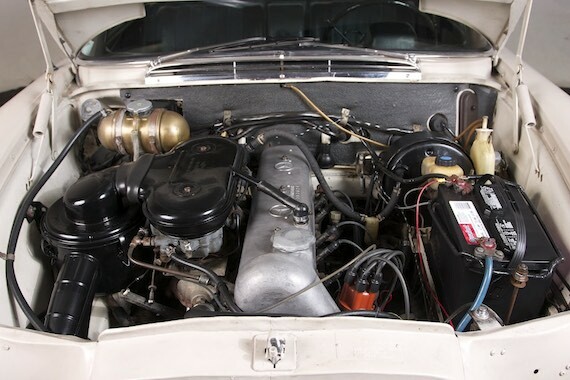 Such is the case with this rally prepared 1967 230 for sale in California. 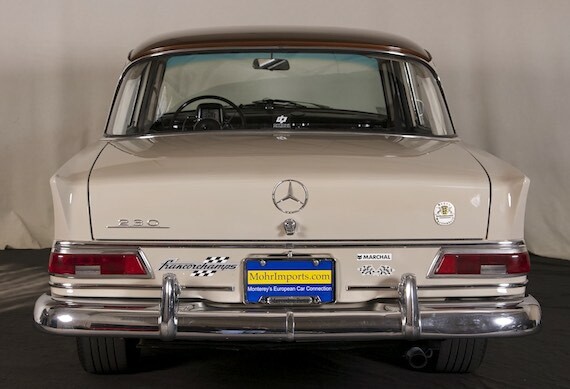 The Mercedes tradition in my family began with a 1962 190C, so I have a soft spot for these W110s. 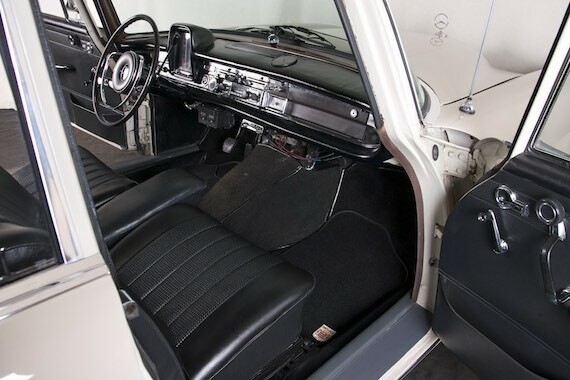 The late 1960s would spell the end for the Heckflosse, or Fintail, but today, they are one of the most accessible Mercedes-Benz classics to be had. 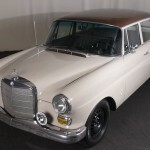 CLICK FOR DETAILS: 1967 Mercedes-Benz 230 at Mohr Imports, Inc. 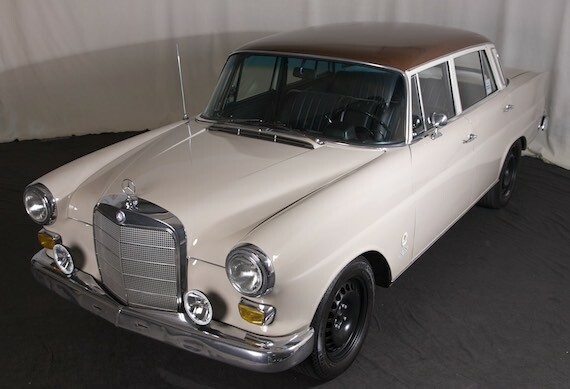 This 1967 Mercedes Benz 230 W110 Sedan is in Beige with Black. 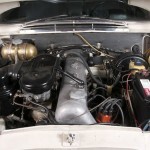 This car is a 2.3 liter inline 6cyl Fintail, Heckflosse. Unique factory 2 tone paint. KYB shocks front and rear. Vintage AMG Factory Sway Bars for improved handling. Correct Becker stereo with factory FM upgrade. 16″ OEM steel wheels & tires. (The 16â€ wheels for improved comfort). 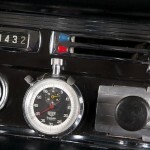 Vintage factory trip meter for rally events. 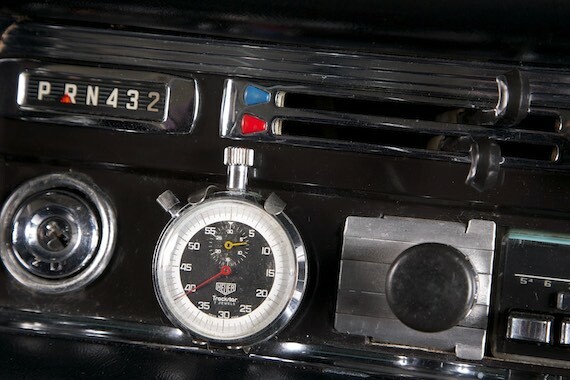 Tag-Heuer stop watch (vintage). Dash clip used in rally events. I’m still rather amazed at the prices for W110s. You could have one of the coolest cars in the next vintage rally for the equivalent of a slightly used two or three year old compact car. 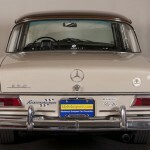 These Mercedes aren’t excessive when it comes to maintenance costs either, so this is certainly an affordable classic. We saw a one owner 1967 230 sell for $15,655 back in October of last year. Considering the rally mods on this one, this one is priced quite reasonably. I’d certainly enjoy knowing where this particular Benz winds up and if it sees any racing action. 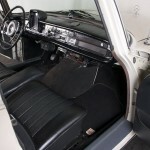 Tagged 1967, 230, Mercedes Benz, rally, w110. Fascinating that from the factory the roof would be a complementary color. Would anyone have the guts to do this nowadays — in good taste, I should say. The black wheels, lol. A 67 MB and a 98 Camry, both with the same disease.